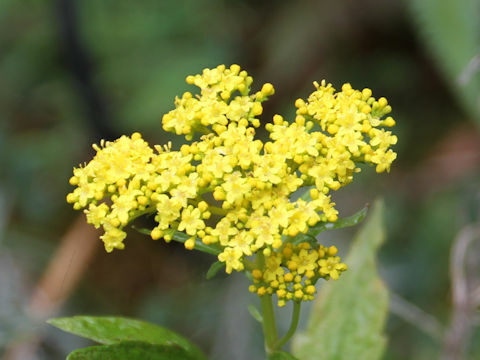 "Hama-ominaeshi" (Patrinia scabiosaefolia f. crassa) belongs to the Valerianaceae (the Valerian family). It is a perennial herb that is distributed to Honshu and Hokkaido. It is a form of "Ominaeshi". 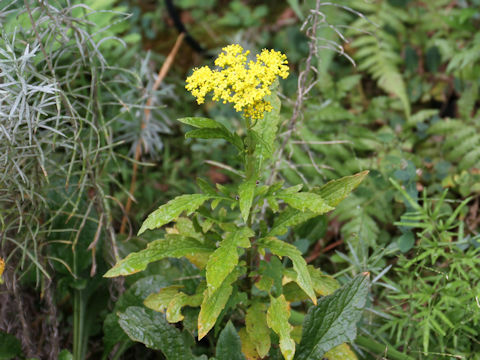 This herb grows on the coasts and up to a height of 30-40 cm. The leaves are thick and fleshy, pinnate notched and arranged in opposite. 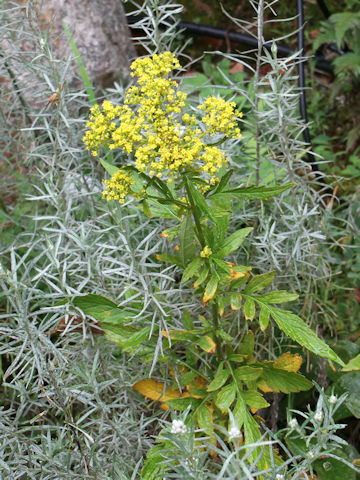 The compound cyme is borne on the upper part of the stems, a lot of yellow small flowers bloom from August to October. The corolla is five partite.